This thread is for comments about our Arena Priest Spreadsheet for GvG. I'm getting card options that don't appear on your spreadsheet. My very first three cards to choose from were Ancient Mage, Murloc Tidecaller and Coldlight Oracle. Does that mean those cards are such BAD options that you didn't even bother to include them? We can't play the game for you, Having good cards is not enough. Which cards in particular do you think are undervalued? Hi I really really really need your help. I followed the list and had a alot of great cards in my deck mostly above average to excellent. and yet i lost so hard i only had 1 win. in fact of my over 40 arena trys my max wins is 2. It is not my choices it is not my gameplay it is everyone I face gets god decks and 3-4 legendaries and all these wonderful combos while I constantly get nothing. I am tired of losing due to everyone has luck except me. and then i go online and see these a-holes saying they get 9-11 wins on average in arena? HOW IS THAT POSSIBLE. answer it isn't they are lying and just idiotic liars. Please what am I doing wrong that I cant even get more than 2 wins in arena. as an example I lost to a guy who threw out 4 freaking 4 of the creature who gets +4/+4 if your opponnent has 15 or less health. seriously 1 you have to be absolutely confident you can even get your opponent down to 15 or less health. but to have that card come up 4 TIMES? unbelievable luck borderline impossible but it happened. Please help me. I am just so far out of patience I am about to consider sueing blizzard for my money back. I dont want to i love blizzard but at this point random chance is a fkin lie they are stacking everyone against me and its just not worth my money. Are you on EU? If so, would you add me on BNet and tell me when you are ready to play arena so I could spectate you? If not, would you provide a replay so I can see if it really as you say? No cards are missing, check the tabs for the relevant rarity. Crazed Alchemist is rated above average in the rare tab. I always had a fondness for that one (for some reason). There are some cards that I feel are overrated. Spawn of Shadows - a Lost Tallstrider, which I believe is overrated as well due to the amount of 4-health removals, such as Bomb Lobber or Flamestrike. Then, Goblin Sapper. It used to be fine, but now with arena meta getting faster, players rarely have 6 cards on turn 3 and later, which makes Goblin Sapper a 3 mana 2/4, and while Squirming Tentacle is tier 5, Goblin Sapper stays at tier 4. Finally, Shifting Shade on tier 6 is strange, especially when it's right below Mass Dispel. I feel like Shifting Shade is a fine card at least, being a 4 mana 4/3, which is better than Gnomish Inventor, who is in tier 5. Drawing your opponent's card is not really that bad in arena since you don't usually have combos, and it actually helps against better classes, such as Mage or Paladin, where you often get better cards than the cards in your deck, even after the change of arena draft. is "Convert" missing from this list? Yes, Convert is not available in arena. Astounding! You had a win streak of 10 games in The Arena! 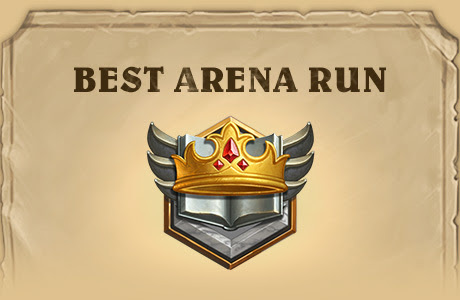 You won 12 times in a single Arena run! 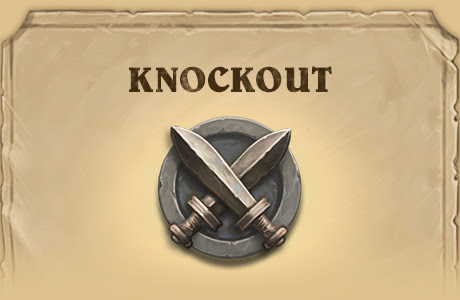 You knocked 35 players out of Arena! Players in your region knocked 4.6players out of Arena on average. Shadowboxer is not on your list. 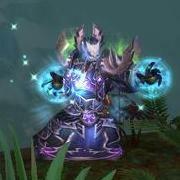 We will not be updating tier lists for Wildfest. Sorry for the inconvenience. Super helpful tier ranking I’ve been doing great as priest in arena lately. I did notice one thing on my last run though- for the legendaries, why is bwonsamdi ranked so high? Other than crystalline Oracle and northshire cleric there aren’t really any one mana minions that show up in drafts- and the random ones that do show up are mostly below average or worse in the tier. I picked bwonsamdi last time but never got any use out of it besides as a normal 7/7 minion- should I make sure to draft 1mana minions just in case next time? Or only pick that legendary if my deck has a ton of 1drops? I cannot find the Pint-sized Summoner. She is in Tier 6.